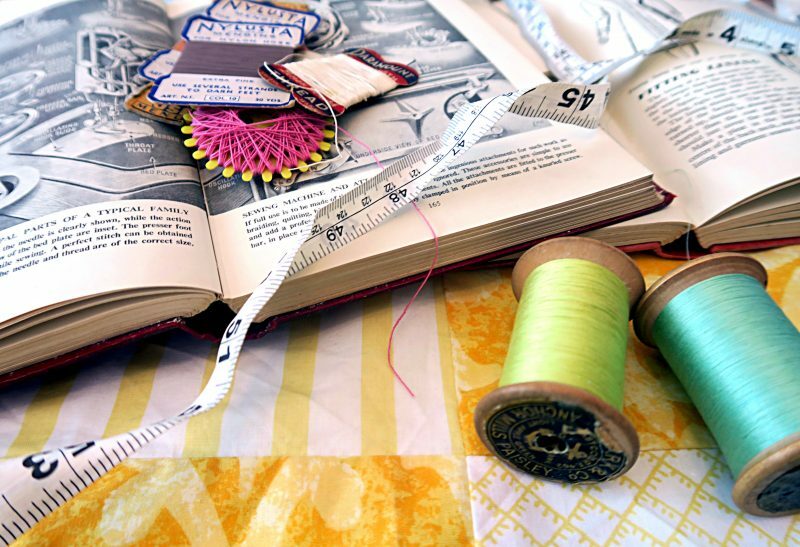 Re:Sewn – The History of Home Sewing! Do you like to sew, knit, crochet, dressmake etc? I do! I love to knit, mend and dressmake when I get the chance. It helps me relax, reduces my anxiety and lets me be creative. Plus I love vintage clothes so sewing is a way for me to alter or mend vintage clothes without spending a fortune. 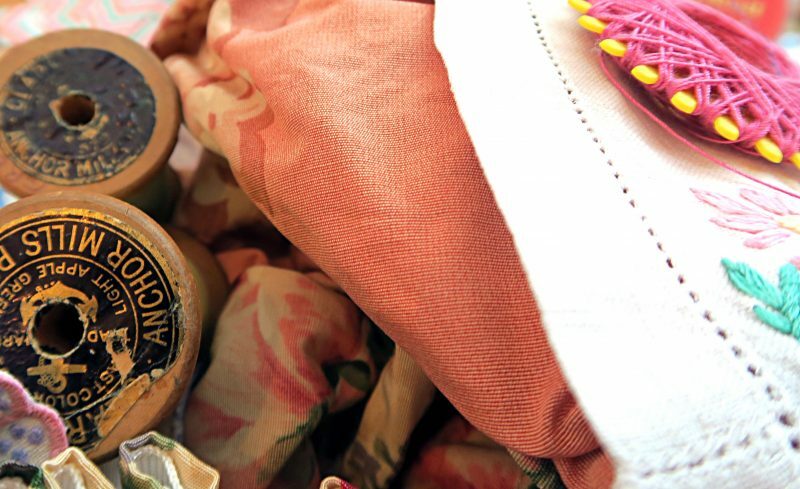 BUT do you know a lot about the history of home sewing?! No? Then read on for more info and the latest installment of the ‘Re:Sewn Fashion History’ podcast! Home sewing, where to start!? I could go into a very technical, academic historical analysis (I <3 big words) about the history of home sewing but we would be here forever and I’d go off on an academic tangent. Though there’s nothing wrong with an academic tangent as I love nothing more than in-depth texts about fashion and sewing. But this is not the place nor the time for this sort of writing! For me the history of home sewing falls into two categories: sewing done out of necessity (think working class women, dressmakers, economic reasons) and sewing done for pleasure (aristocratic ladies sewing on embroidery hoops, domesticated talents of a middle class woman etc.) This is the direction I’m going to take with this blog post and podcast as it’s a great way to compare and contrast the differing lives of women who home sewed. I come from a long line of women who worked in stitching or linen factories or where dressmakers. I was taught by my grandmother and great-aunts how to sew, knit and use a sewing machine at a very early age. In fact one of my earliest memories is sitting on my grandmother’s knee learning to knit. 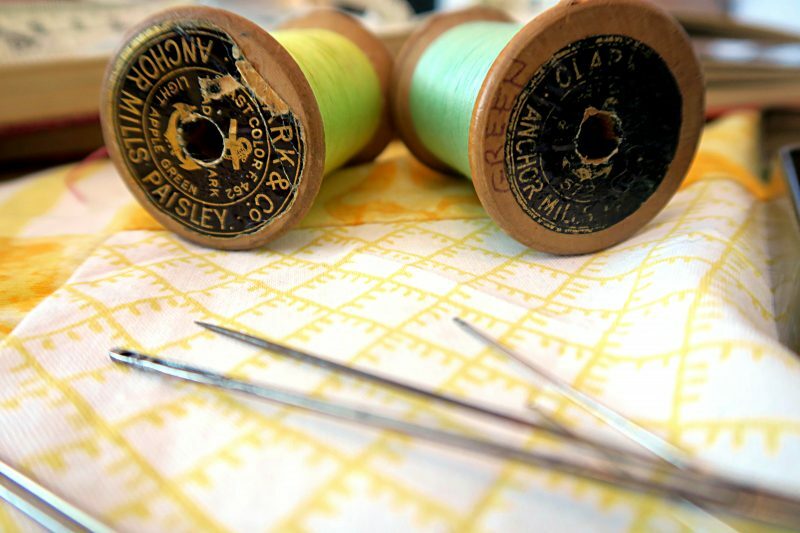 The history of home-sewing is inter-generational as it was one way for one generation to share skills with the next for various reasons. Either for enjoyment or for the person to use their sewing skills for employment. ‘Sewing is and always has been associated with hard work.’1 And always nearly associated with women’s domesticity (though sailor’s had to learn to sew and of course there were tailors). Learning to sew from relatives or at school was away of proving a female’s suitability to be a wife and mother. Nothing conjures up domestic Victoriana than the Victorian mother sitting at the fireside with her husband and children whilst embroidering on an embroidery hoop. But before the patenting of the sewing machine in 1851 by Isaac Singer in the US home sewing and dressmaking was done by hand. It was a time-consuming and laborious process that give working class women poor eye-sight, bad backs and meagre wages. Learning to sew was also an important part of a working class girl’s education from the Victorian era right up until the 1960s. Being able to sew and sew well meant she could find employment in service or set herself up as a dressmaker. Before 1870 and the Married Women’s Property Act, women couldn’t lay claim to anything as legally their husband’s owned everything. However, men placed little value on sewing ephemera such as thimbles, sewing boxes, needles etc. and these were some of the only things that women could pass on to their daughter or other relatives. Aforementioned, things really didn’t change in the home sewing industry until the patenting of the sewing machine in 1851. This literally revolutionized the way clothes were made and gave rise to the ready-to-wear clothing factories that began to spring up all over the world before the end of the 19th century. Another revolutionary tool in the home sewing industry was paper patterns which all dressmakers should give thanks for. Ebenezer Butterick was the inventor of paper patterns that flourished from the 1860s onwards and Butterick is still one of the premier maker of paper patterns in the 21st century. With paper patterns all classes of women could create fashionable gowns and accessories thus making fashion more affordable to audiences who previously never dreamed of owning fashionable clothing. With the advent of both the sewing machine and the paper pattern industry home sewing became somewhat of a hobby for the middle to upper class women who sewed, knitted or embroidered creating gifts for themselves, family members or items for their home. Home sewing in a thrifty way started to became the main stay of the working to lower-middle class woman. As we move on into the 20th century we begin to see a steady change in the way women dress, especially after the end of WW1 in 1918, and what they need to wear on a daily basis. With the advent of easier fashions in the form of the straight up and down Flapper fashions of the 1920s home sewing took a nose dive and became somewhat unfashionable. Though this is not to say that it went away all together as women still had to be thrifty and make their own clothes. Plus as a bonus the simpler styles of the 1920s were easier to sew than the frou-frou styles of the Edwardian era! Bonus! As the 1920s gave way to the depression of the 1930s and WW2 between 1939 to 1945, home sewing once again became a necessity. Not just for working class housewives but for any lady who wanted to remain fashionable, save money and be thrifty on what she was spending. The 1920s and 1930s also saw the rise of women’s magazines, particularly fashion, domestic and home-sewing magazines. Coupled with the falling price of a sewing machine home-sewing to make money or save money became more accessible to all areas of society. WW2 gave way to ‘Make Do and Mend’ in the UK with a leaflet of the same name being issued by the Ministry of Information in 1943 for all spend-thrift housewives and women. Women turned men’s suits into dresses, curtains into coats and table clothes into shirts. If you didn’t know how to sew or didn’t have a high level of sewing skills you could have things re-made for you or be taught how to do it yourself. 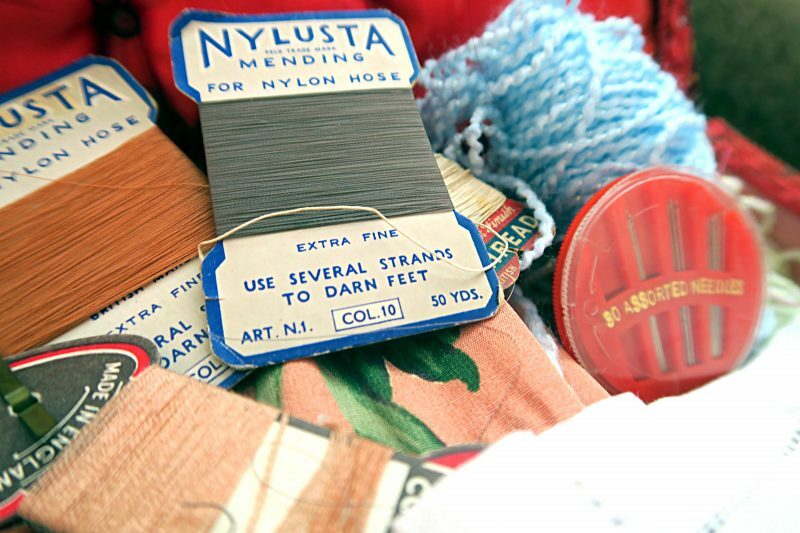 Nothing was wasted or thrown away; even the smallest thread or piece of knitting could be used to make something new. Clothes rationing also saw a rise in home-sewers as your clothes had to last longer and you had to know how to make them last longer. 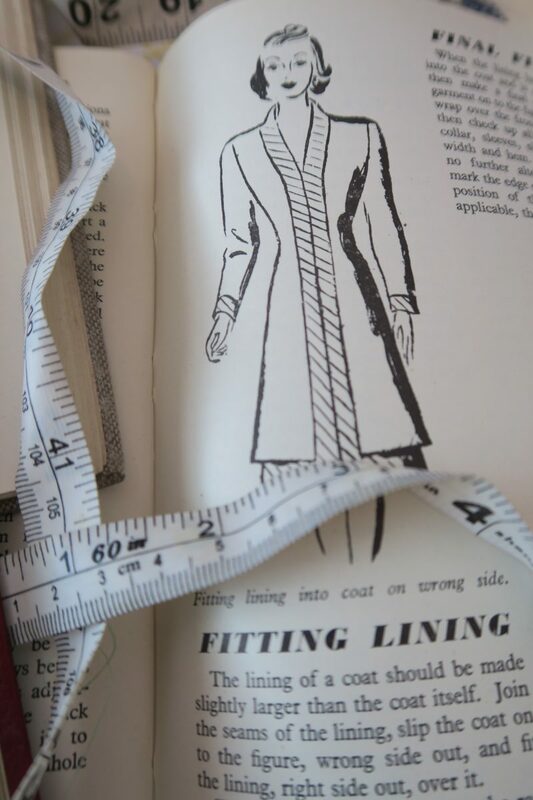 With clothes rationing lasting until 1949 home-sewing remained popular right into the 1950s whilst Britain and her allies economically recovered from WW2. From the 1960s onwards there was a decline in home-sewing as once again fashion’s became simpler and therefore it became cheaper to buy ready-to-wear garments than make your own. By the 1980s and what was called a ‘self-centred’ generation it wasn’t fashionable or cool to sew or even make your own clothes. All this changed from the late 1990s onwards and several recessions meant that home-sewing and sewing machine sales were on the rise. 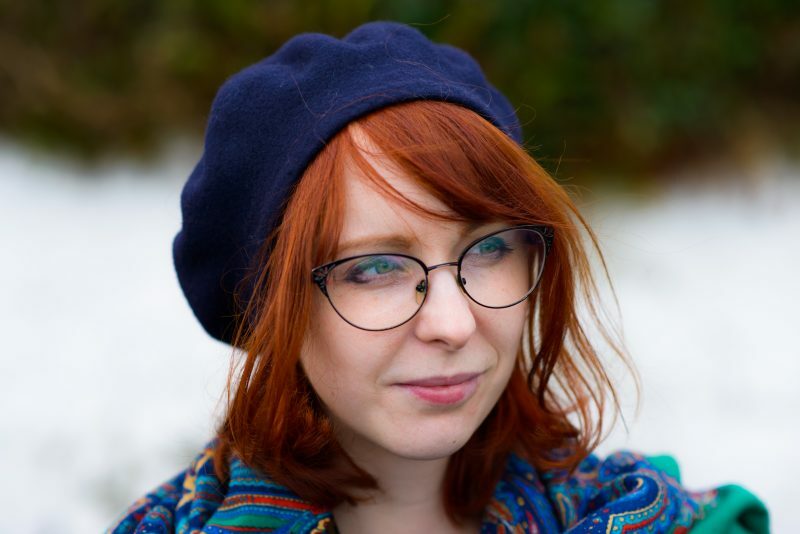 Over the past ten to fifteen years there has been a real resurgence in make do and mending, hemming and making things last longer as people simply don’t have the money to buy new clothes all the time. I make do and mend as I love my clothes and want them to last for a long time. This applies to my vintage clothing collection and any modern clothes that I do have (though I mostly style myself in a vintage manner even if wearing modern made clothes). I also at the minute (and even when I do earn more money) don’t earn a lot of money so every hem re-hemmed and every button re-sewn means that my clothes last longer and I’ve saved money. I don’t ever think I will not be spendthrift about my clothes as every penny saved is a penny towards travel, vintage clothing, craft beer and buying a house. Not necessarily in that order mind you! 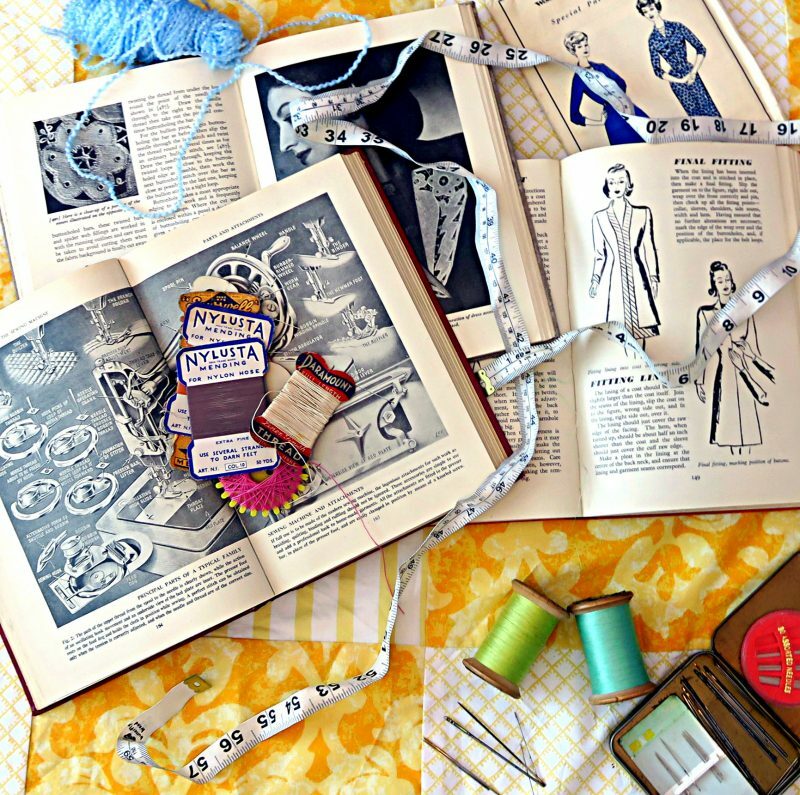 So you can see from this blog post and the podcast YouTube video below that the history of home-sewing is incredibly important and I encourage you research more and pick up a needle and thread yourself! 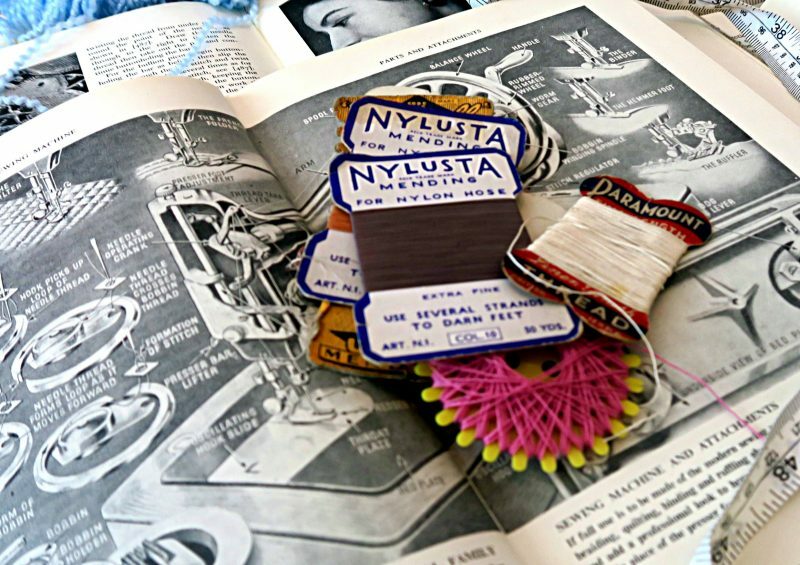 Judi Kettler, ‘Sew Retro: Simple Vintage-Inspired Projects for the Modern Girl & A Stylish History of the Sewing Revolution’, 2010. 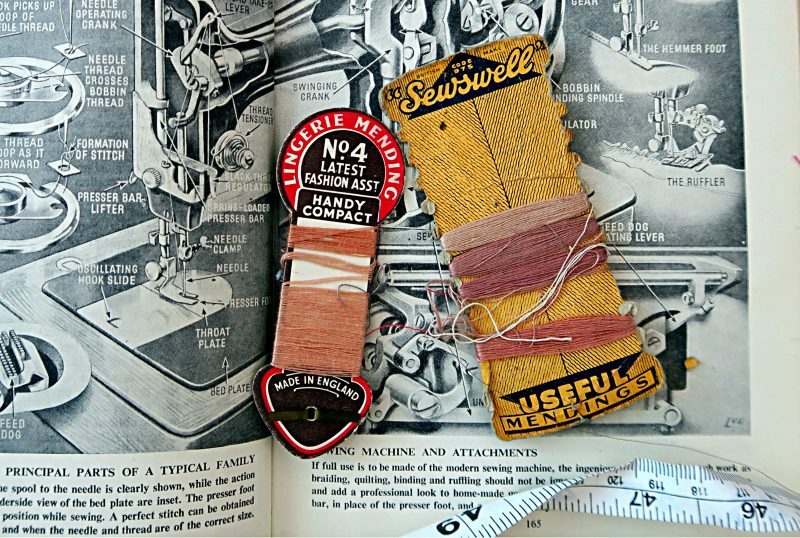 Sarah A. Gordon, ‘Make It Yourself: Home Sewing, Gender and Culture 1890-1930’, 2004.